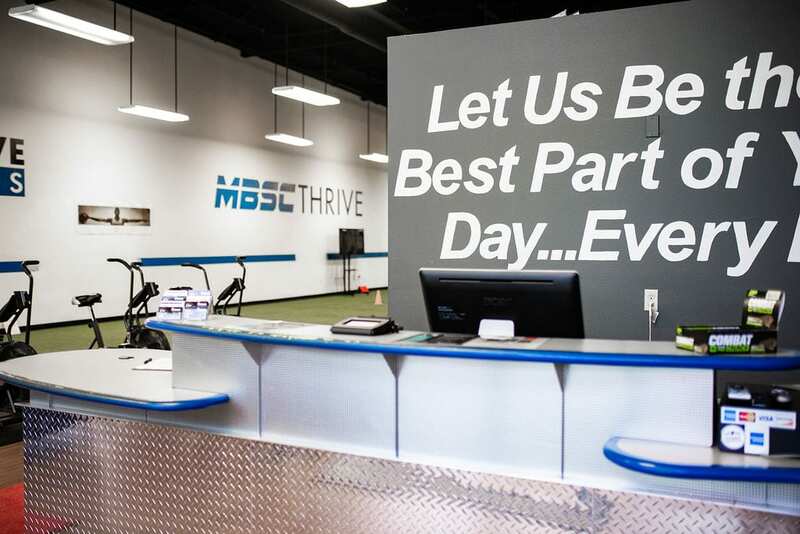 Memberships are billed with EFT/Credit Card on a month to month or a 12-month agreement. We also have packages that can be purchased as a set number of sessions with no automatic monthly payment. Contact us to see what type of options will work for you and your needs! Are you struggling to reach your fitness goals? 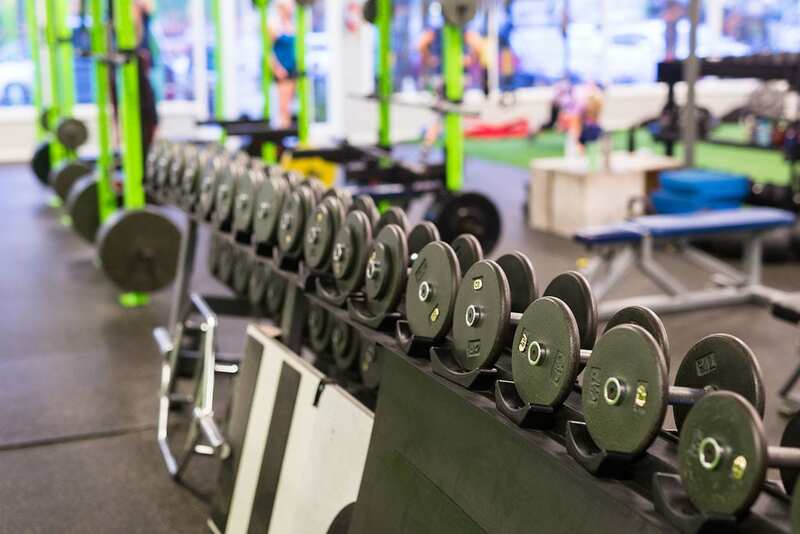 Confused by all of the conflicting information from friends, fitness magazines and trainers? We can help! 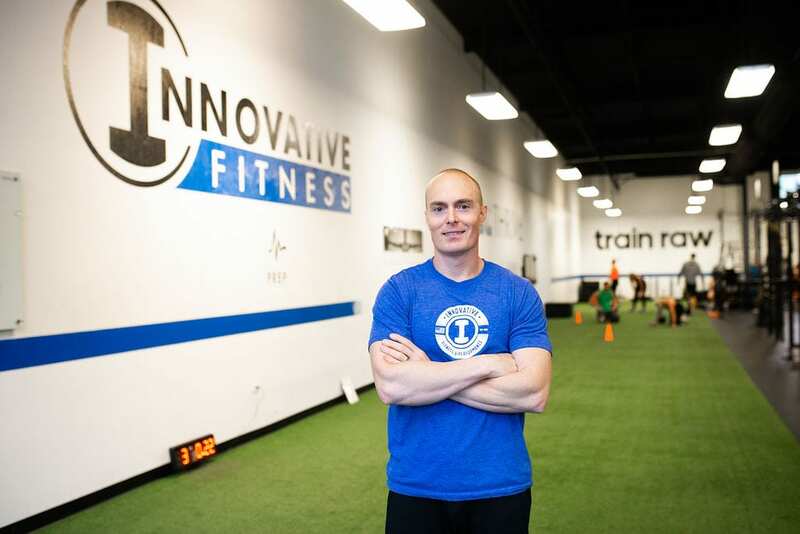 Using our 20 years of experience, an in-depth assessment and your specific goals, we will design a program that will finally help you look good and feel great! One on one training is for those who desire exclusivity when training with their coach. Custom training program based on individual needs and preferences, nutritional guidance and support, motivation and accountability with 100% focus and attention. This is our most popular option. 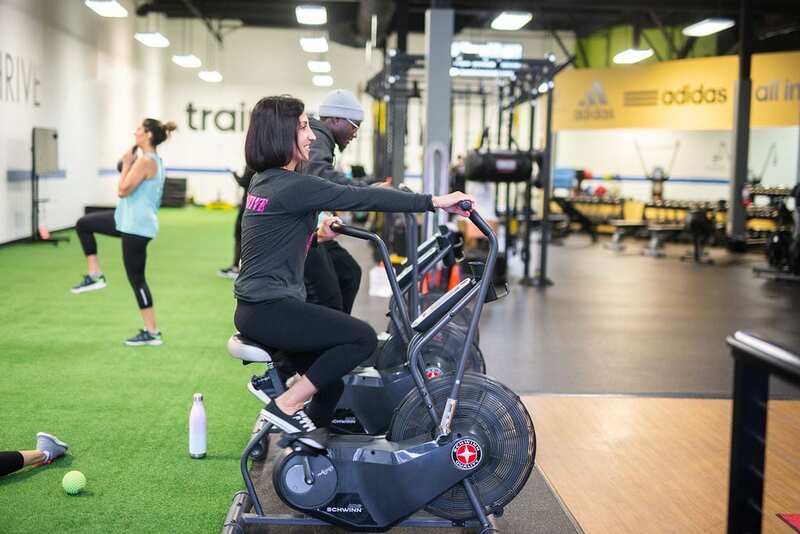 Train in groups of 2-5 people, offers custom program design for the small group, social support from peers, professional fitness coaching, nutritional guidance and support. 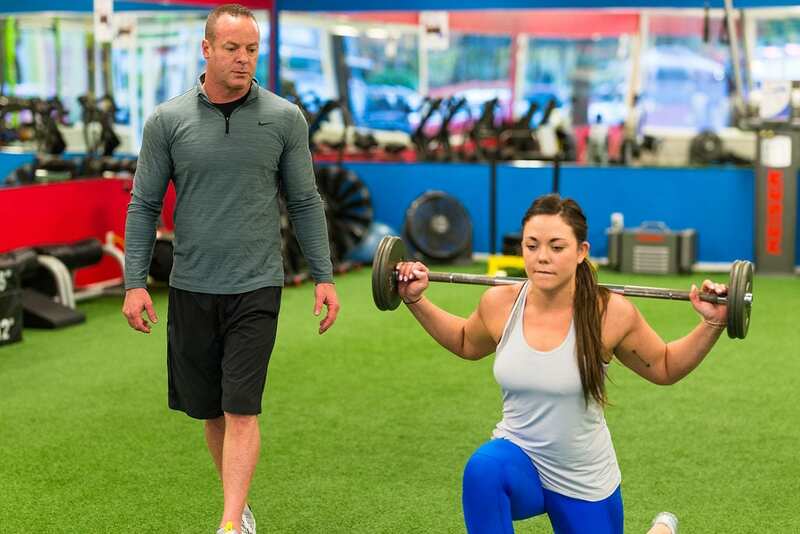 Our group version of strength training workouts are designed to be an alternative for those members who do not participate in our private and semi-private strength coaching. This is a full body workout which includes core and power development designed to maximize lean body mass and calorie expenditure to get the most out of your workout. This is the cardio workout we recommend for Private, Semi-private and Team training members to do on opposite days of their strength training days. 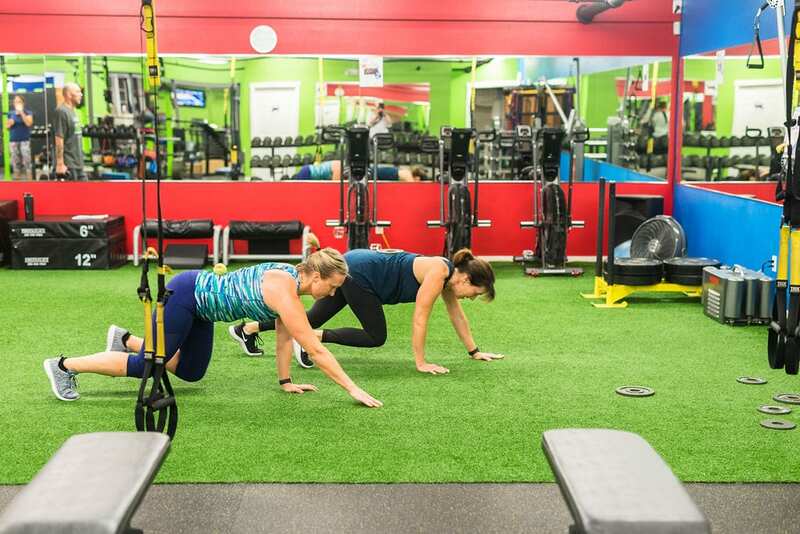 These classes are primarily made up of the anaerobic metabolic conditioning component for the entire workout incorporating both core and power within these exercises. We offer Metabolic because interval training is a superior choice of cardio training for our clientele who are looking to lose fat. 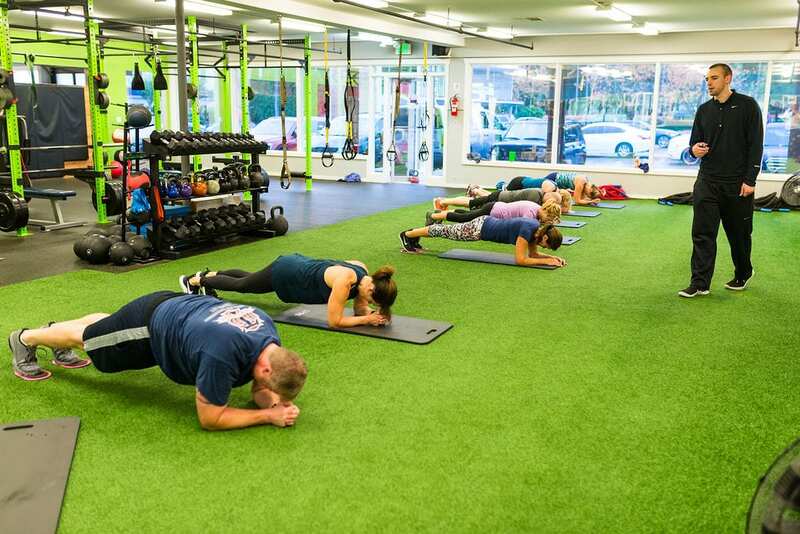 These classes are time based using circuits of full body movements in multiple planes of motion, increasing the heart rate for the work interval and then allowing recovery between exercises. This is done only on Saturday mornings at 7 am and 8 am in Fircrest & 7:30am in Gig Harbor. If you enjoy working out in groups of 20 or more, this is for you. It isn’t as much about the workout as it is about the team atmosphere. Come be a part of this one-hour experience where everyone gives it their all. 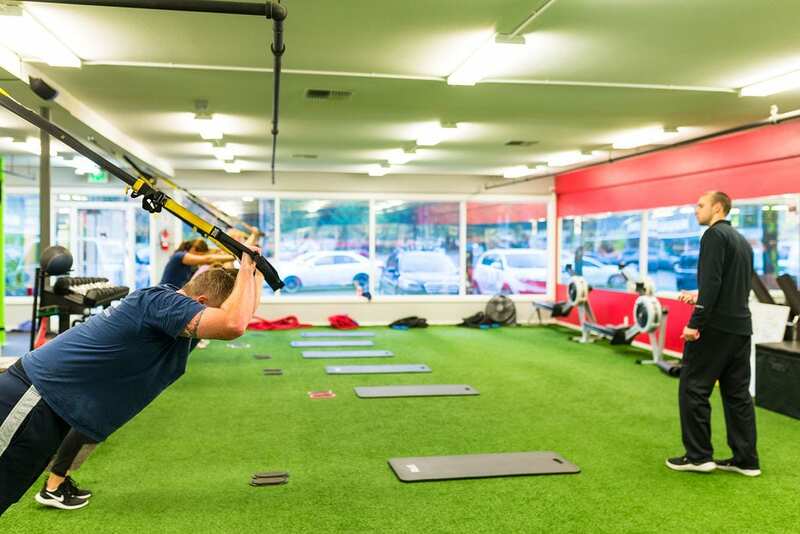 We use protocols from both Total Body Strength and Metabolic classes combined to maximize your calorie burning workout.